﻿Published by Sareth Ney on Sept. 14, 201 6 at 7:53 p.m.
Photo credit: Dallas Comedy Festival's Facebook page. 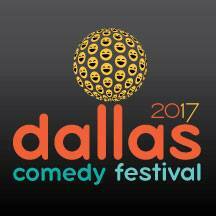 DALLAS – Dallas Comedy Festival will be taking place at the Dallas Comedy House, from March 22 through March 25. It will include stand-up, improve, sketch shows and workshops. It will be celebrating eight years. For 2016, it will also include the 24-Hour Film Race and will take place on Sept. 16. The competition begins at 11 p.m. Central Time and concludes on Sept. 17 at 11 p.m. Central Time. ​In 2010, Dallas Comedy Festival began at 2645 Commerce. It featured over 25 acts and the press and locals called it one of the “must see” events of the year. Since then, alumni of the festival included: Jill Bernard, Joe Bill, David Razowsky, Molly Erdman, Uncle’s Brother (Joe Canale, Brad Morris Tim Meadows), FankenMatt (Frank Caeti, Matt Craig), Dasarask (Rich Talarico, Bob Dassie, Craig Cackowski), The 313 (Keegan Michael-Key, Maribeth Monroe), Sean Flannery’s “Black Out Diaries”, Paul Varghese, Rory Scovel, Kate Duffy, Susan Messing, Bangarang (Lauren Lapkus), TJ and Dave (TJ Jagodowski and Dave Pasquesi), Ithamar Enriquez and The Katydids (Cate Freedman, Katie Lambert, Kate O’Brien and Kathryn Reese Thomas). Submissions are currently being accepted to take part in the Dallas Comedy Festival. Entries for consideration must be received by Nov. 15. They are looking for improv, sketch and stand-up comedy acts. Shows and acts which are considered will be those currently running or being rehearsed. Local and national acts with polished material will be looked at. Requirements for Dallas Comedy Festival are: name and contact information for all group member, name of improv troupe/sketch show/stand-up act, hometown, home theater, link to website and/or social media, link to any relevant review of your show or set, show description for the DCF team (technical description), press description (100 word or less and in third person), minimum of one high resolution photo (for press purposes) and link to an unedited video of most recent performance (10 minutes for stand-up and 20 minutes for sketch/improv). Submission fees to the Dallas Comedy Festival does not guarantee acceptance, are final and non-refundable. Fees are as follow: improv is $30 for early bird and $45 regular, sketch is $30 early bird and $45 regular and stand-up is $20 early bird and $35 regular. Sponsors of Dallas Comedy Festival are: Pop, Dallas Observer, Lakewood Brewing Company, PIP Insurance Services, LLC., Minuteman Press and Halo Del Sevanto. For sponsorships, submission, press passes, film requirements and additional information—visit dallascomedyfestival.com.